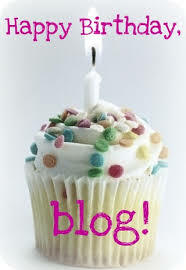 Know Me And My Blog!
" You're not what people call 'you', when you try to please the world. But when you follow your heart, you don't stray from the real you. " "Heaven is hard to find. But finding yourself isn't. Neither is finding your passion. But success is." Thoughts Of The Day- Making up for the last four days . . . .
"You are nothing but a puppet attached to strings. Life is nothing but the stage. And God is none other than the puppeteer." "Magic helps you do things better. But did you know that magic isn't something real? It's something that awakens your confidence. Something which you have the ability to do better." "Talent is… Continue reading Thoughts Of The Day- Making up for the last four days . . . .
"Darkness is a burning flame. You extinguish it, with light, and there'll be no more darkness. But you let it be, and it clouds your life with darkness." Happy Third Birthday to Aaliyah’s Wishland! Want to read in another language? Translate. Life is adventure, poetry and love. Poems | England | Staffordshire | East Anglia | Northern Ireland | The Needwood Poems.